The Castlevanis cast features the voice talents of Graham McTavish (The Hobbit, Preacher) as Dracula, Richard Armitage (The Hobbit trilogy) as Trevor Belmont, James Callis (Battlestar Galactica) as Alucard, Emily Swallow (Supernatural) as Lisa, Matt Frewer (Orphan Black) as The Bishop, Tony Amendola (Annabelle) as The Elder and Alejandra Reynoso (G.I. Joe: Renegades) as Sypha Belnades. Castlevania is executive produced by Warren Ellis, Kevin Kolde, Adi Shankar and Fred Seibert. Production services are provided by Austin, Texas-based Powerhouse Animation with Brad Graeber supervising producer, Jason Williams as producer, and Sam Deats as director. 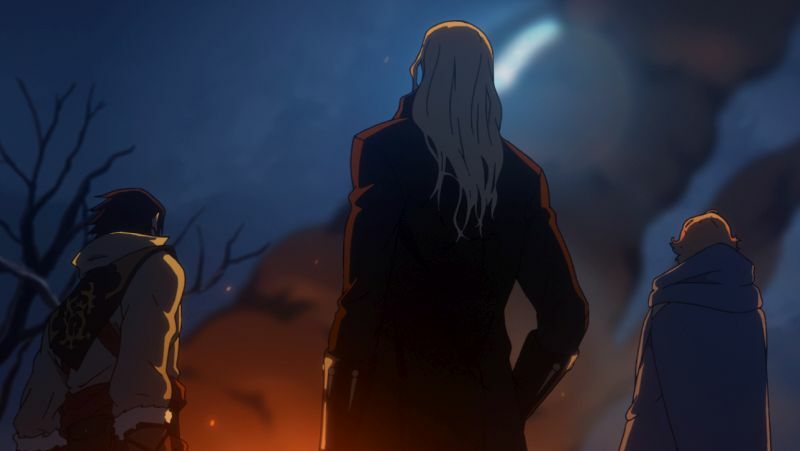 The post Castlevania Renewed for a Third Season by Netflix appeared first on ComingSoon.net.